Caption slip reads: "Photographer: Miller. Date: 1958-07-10. Reporter: Thackrey. Assignment: Auto assault. 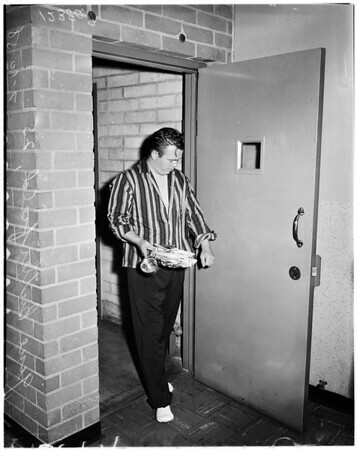 17: Gene Butterfield, 25, unhappily residing in West LA Jail, after running down his girlfriend and her new boyfriend, with his car".